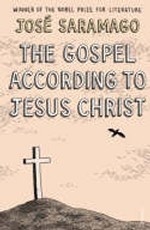 Аннотация к книге "The Gospel According To Jesus Christ"
This book is a retelling of the Gospel following the life of Christ from his conception to his crucifixion. A naive Jesus is the son not of God, but of Joseph. In the desert it is not Satan, but God that Christ tussles with, an autocrat with whom he has an unbalanced and unsettled relationship.